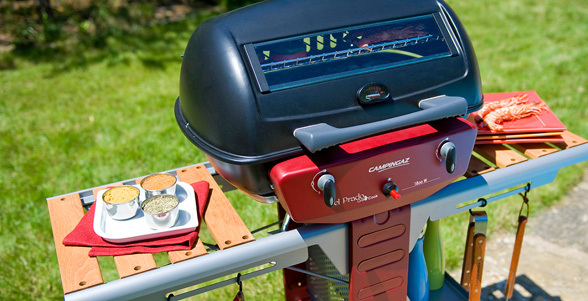 The synoynm for modern grilling. El Prado™ uses the patented and award-wining (French Eco Trophees Award 2010) “Low Flame” cooking system: it consumes 50% less energy than traditional gas barbecues - without compromising cooking performance or cooking result. A benefit for the environment which also saves you money each time you enjoy your barbecue. Moreover, less smoke and flare ups allow for an even healthier preperation of food.